Imagine finding out that you’re legally married without ever having walked down the aisle or said, “I do”. This was exactly the situation faced by a Sydney woman, known as Ms Chou. After making an application to the NSW Registry of Births Deaths and Marriages in relation to a current relationship, Ms Chou was informed that she had been married to a ‘Mr Tang’ (whom she has never met nor heard of) in the year 2000. As Ms Chou had never knowingly been married or divorced before, it became evident that her personal details had been stolen and misused to create both a fraudulent marriage and divorce. While most people have heard of identity theft in regard to financial crimes, not many people are aware that a person’s identity can also be stolen to perform an illegal marriage, usually for the purpose of obtaining a visa sponsorship and/or citizenship. Ms Chou made extensive attempts to have the marriage and divorce dissolved through various government authorities, but was eventually told that there was nothing they could do to help. In desperation, she turned to us for legal help. We took the case to the Family Court in order to have the marriage ‘annulled’ or declared legally void. 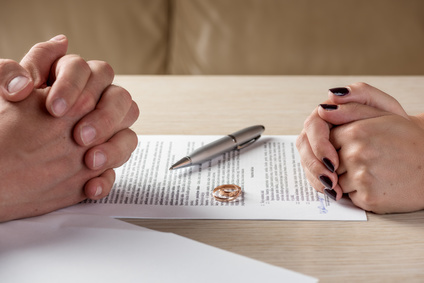 In practice, it is very difficult to have a marriage annulled by the court and there are limited grounds under the Family Law Act that justify the finding that a marriage is invalid. Among these, however, is the lack of consent by a party of the marriage due to fraud¹. Unfortunately this case was further complicated by the discovery that the fraudulent marriage had also ended by a fraudulent divorce in 2005. This meant that the divorce must also be declared void before the court could make a finding that the marriage was void. In addition to the complex legal issues at hand was the fact that until Ms Chou’s case, there have been no other reported cases under Australian law dealing specifically with the issue of lack of consent through identity theft in relation to a fraudulent marriage. Despite the overwhelming legal challenges, ultimately the court ordered both the marriage and divorce void. We were able to provide a speedy resolution to Ms Chou’s previously lengthy and unsuccessful battle to regain her stolen identity. The court’s decision in Ms Chou’s case in regards to divorce, nullity and stolen identity is now a landmark case in family law matters of this type. In the future, other unfortunate victims of fraud in relation to marriage will now have a legal precedent to assist them in their quest to right the wrong of identity fraud that has been committed against them. Identity fraud cases are becoming increasingly common and complex. If you believe your identity has been stolen, it’s important to seek legal advice immediately. Laura Gardiner is a passionate and determined Family Lawyer at Owen Hodge Lawyers. She is focused on representing parties engaged in parenting and child-related matters, divorce and separation, spousal maintenance and other family disputes.